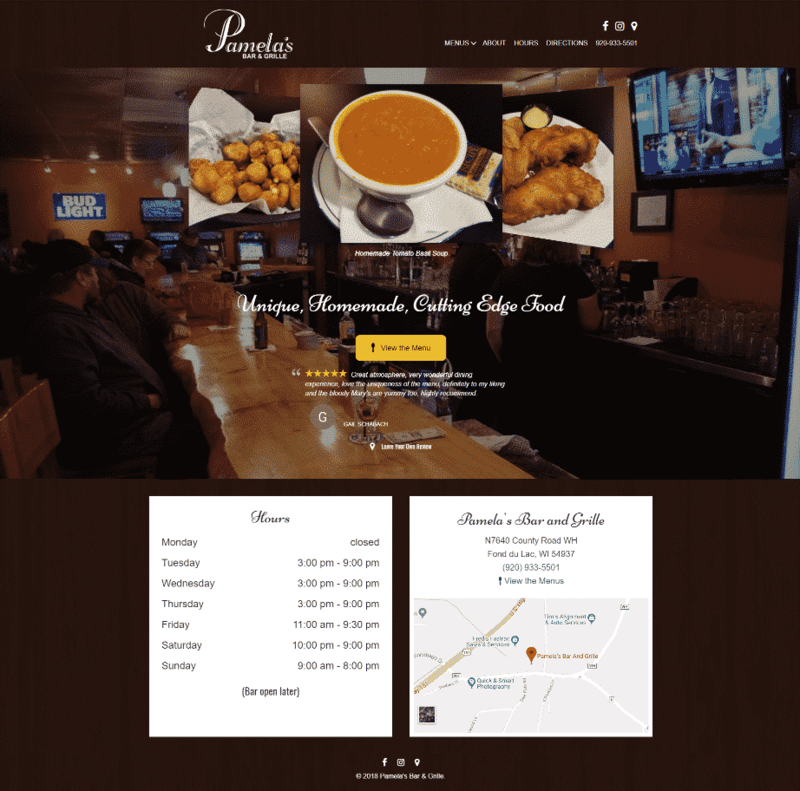 We are excited to announce the launch of a new Restaurant website for Pamela’s Bar & Grille. Pamela’s is an amazing hidden gem in the Fond du Lac area with unique, homemade and cutting edge food. We wanted to make sure that her website showed off some of the food that sets her apart from the others. We also wanted to create a website that featured her fabulous menu, her hours of operation and directions to this cozy restaurant. Our main goal was to help Pamela’s no longer be a “hidden” gem. If you’re looking for the hours of operation, directions to the restaurant, or to get a look at this amazing menu of home cooked meals just like mom used to make, head over to http://pamelasbargrille.com/ and see it for yourself. It’s Fond du Lac’s best kept secret, hopefully a secret no more.